With 2018 kicking in with a bang and work pressure doubling up in no time, it’s time to give yourself a little treat. Watching movies, pub-hopping can definitely be a solution to a stress-free weekend, but a long holiday is always a big yes. 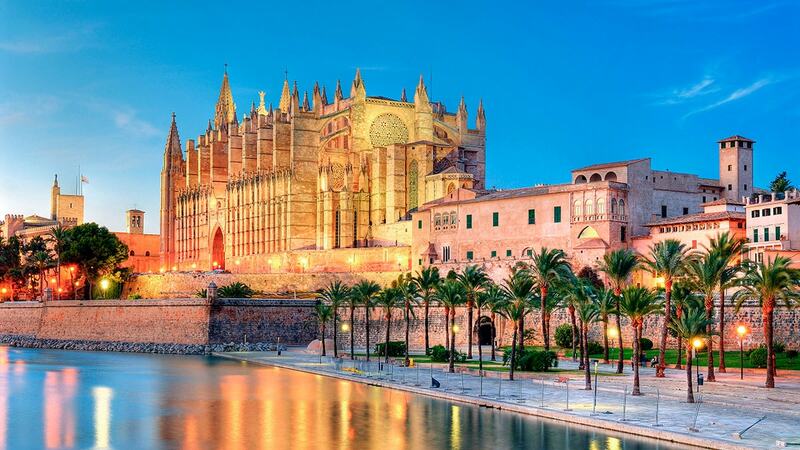 One of the most loved destinations is none other than the Balearic Islands. Alluring white beaches and the sun kissed Mediterranean landscape, makes the perfect recipe for a dream vacation. 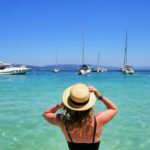 The Balearic Islands include exquisite sun-kissed beaches, each are worth a million memories. It is a peaceful getaway with a quality time with nature. The pristine coastline is interrupted with high and low cliffs, which gradually cascades into the sea. An absolutely perfect place for vacation with your loved ones, or rather the best place for the calm “me-time”. Also, the Pujols Beach, which offers a spacious shoreline, for peace lovers to indulge in bathing, sun basking and water sports for adventure lovers. Not to forget the beach also has a deck for those euphoric evening strolls. The beautiful Mahon stands perilously on the edge of a cliff at eastern end of the Menorca island.The exemplary natural harbour and sheltered location, makes it even more attractive as it refuges the wind and the water. The amazing location makes the boat dwell past old forts towards the harbour. The town is extremely mellow and laid-back. Enjoy a languid walk through the old streets and the sea roaring by the side. Amongst many places, the Iglesia del Carmen, a Neoclassical church of the 18thcentury, is quite remarkable. Also the Plaza de Espana , the Plaza Miranda, are worth visiting. Wondering how to make the vacation even more happening? Simplest way is to hop into the world’s party island. 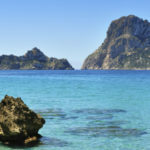 One of the islands of the Balearic, Ibiza Island is known for its fascinating night life and incredible electro music. The port being a UNESCO World Heritage Site, it attracts tourists from all over the world. Ruling above all the other monuments, the Old Town’s crowning glory is the Cathedral of Our Lady of the Snow. The cathedral was earlier constructed in the 13th and 14th centuries. Originally Gothic in style but was later reconditioned in the 18th century in the Baroque style. 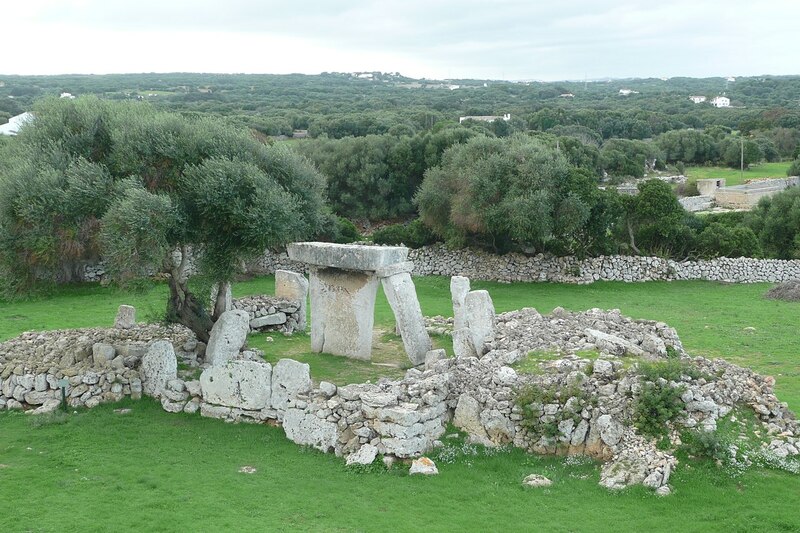 About five kilometres west of Mahon, this extraordinary prehistoric site is remarkable for its stunning beauty. Talatí de Dalt , a megalithic monument is an alcove with thick stone slab. A quick recap of the pre-historic era, it was built in around 1300 BC in the Bronze Age , this monument epitomises architectural structure of one of the oldest settlements of Menora. A quick break from the beaches and shore, Valldemossais is a picturesque village balanced on top of the Tramuntana Mountains. Surrounded by quaint wooden hills, orchards and small gardens, it’s a visitor’s delight. The Real Cartuja de Valldemossa, an archaic Carthusian Monastery is a must-go for monument lovers. Confined with the old and archaic defence wall, this medieval town displays the charisma of the old World European delight. The blissful churches and the dignified houses is a delight to the eyes. Moreover the coats of arms and the typical long renaissance windows add an extra majestic outlook. 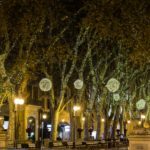 Also the Sant Jaume Church is also an archaeological site representing the Roman city of Pollentia, and the Pollentia Museum exhibit the unusual artifacts of the nearby excavations. Make a point to visit Acudia, as the place is illustrious for its various cultural events. The best way to charge up yourself is by simply booking the air tickets and rolling in the majestic holidays, and come back fresh, with fond memories with your loved ones.